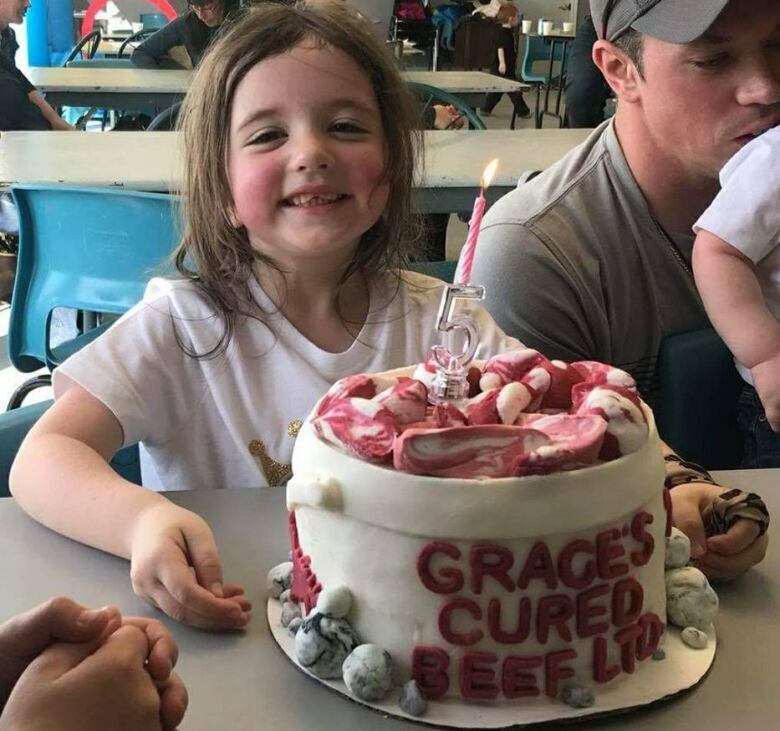 She may only be five years old, but a little girl from Bonavista might have had the most Newfoundland birthday party ever. 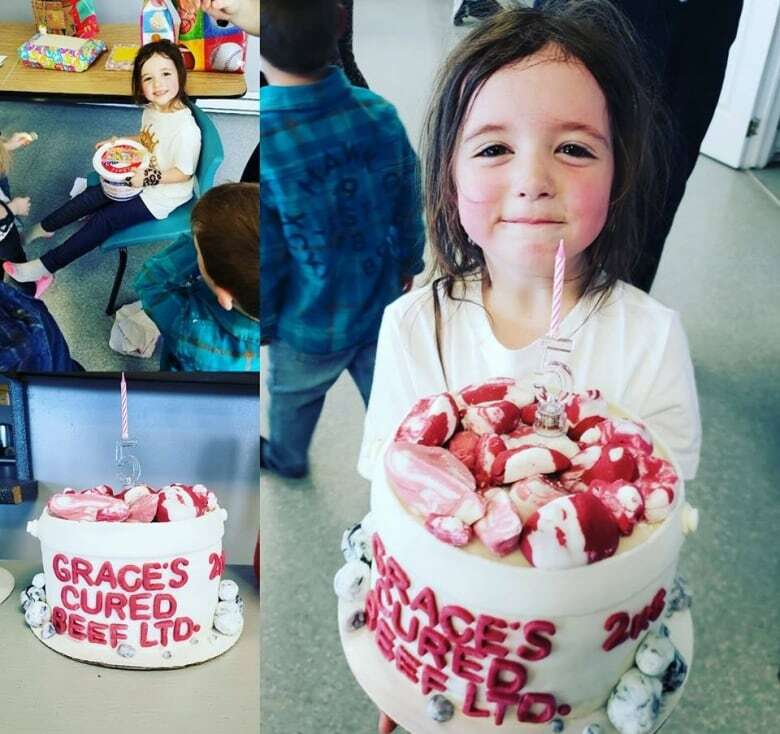 She may only be five years old, but a little girl from Bonavista might just have had the most Newfoundland birthday party ever. When Grace Hookey's mom Roxanne asked her what she wanted to do for her fifth birthday party, her mother thought maybe she would ask for something classic like a princess-themed party. But Grace wasn't having tiaras, make up and pretty dresses on her special day — she wanted a salt meat-themed time. "I said 'Your birthday's coming up, what theme would you like to do?' and she said she wanted a salt beef party," Roxanne said. "She loves salt meat. 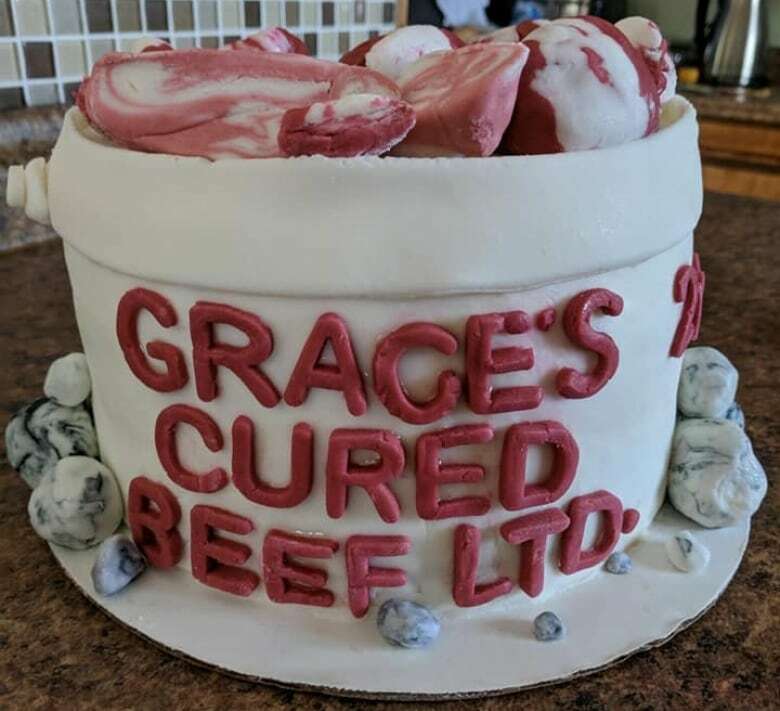 Anytime there's cooked dinner on the go or she walks into her Nan's house and she's cooking Jiggs dinner or soup and she's cooking salt meat, [Grace] knows instantly." For those who aren't familiar with Canada's eastern-most province, salt beef or meat is a beloved food in the Newfoundland and Labrador diet and is a staple in the traditional Sunday meal Jiggs dinner. 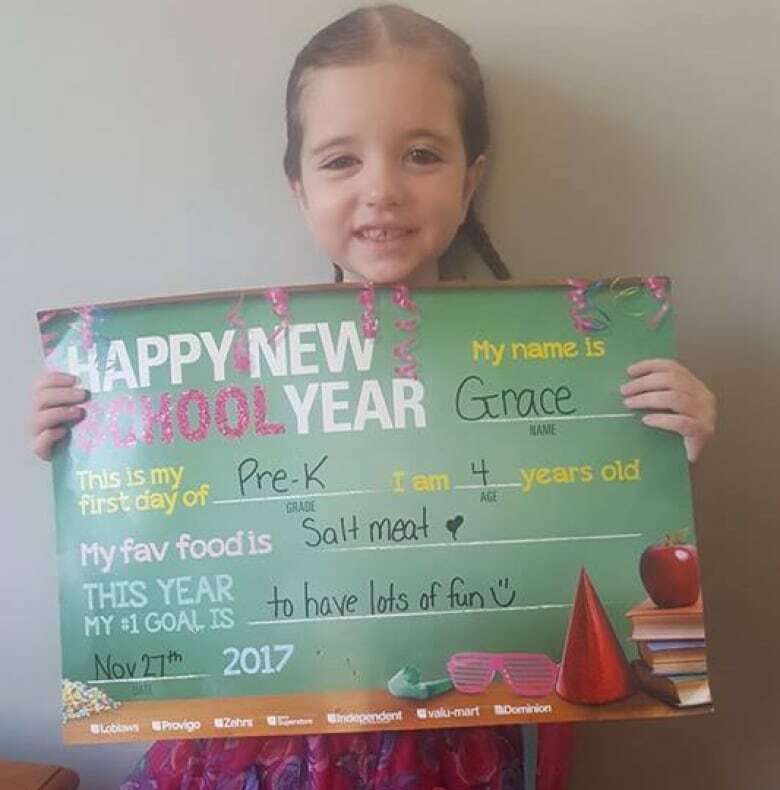 Turns out, there isn't much on Pinterest about planning the perfect salt meat party — let alone one for a five-year-old. So, Hookey started brainstorming with friends and family and they decided to have a potluck-style party with lots of salt meat, and used old salt beef buckets as decorations. Hookey also got in touch with her cake-making friend at Creations by Christa to see if she could take on the unique challenge of a cake that looks like a salt beef bucket. And no, there was no actual salt meat in the cake. "That was the first request she had for one and she really did an excellent job," she said. "[Grace] was very specific, she didn't actually want salt meat in her cake. She wanted vanilla." Surprisingly, Hookey said friends and family weren't that surprised when they heard what theme Grace chose for her party. It may have been an unusual one, but everyone had a great time at the party and left happy and with their bellies full. "They know Grace and she's one of a kind. So they kind of expected to have something a little different from her," Hookey said. "She's a totally different little girl. She has her own mind, her own personality and when something's in her mind, she sticks with it and goes with it. So when she said she wanted a salt meat party, I knew there was no turning back."